This is in Linden Hills, in Minneapolis. 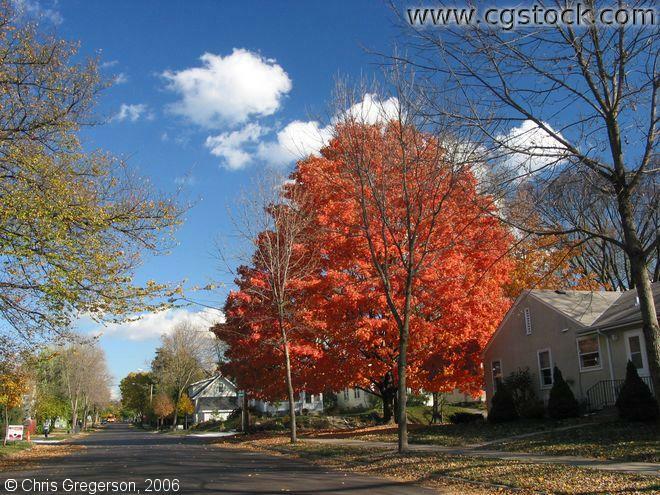 There is a bright orange/red Maple tree(?) on the right.